When I was in college, I knew I wanted to make an impact somehow to address poverty in the world. I never imagined I would one day be a university faculty member or have a Ph.D. in anthropology. Now looking back, the path I took makes sense. But sometimes we can’t yet see the big picture, and step-by-step we try to follow our hearts mixed with a hardy helping of advice and support from those who have gone before us. 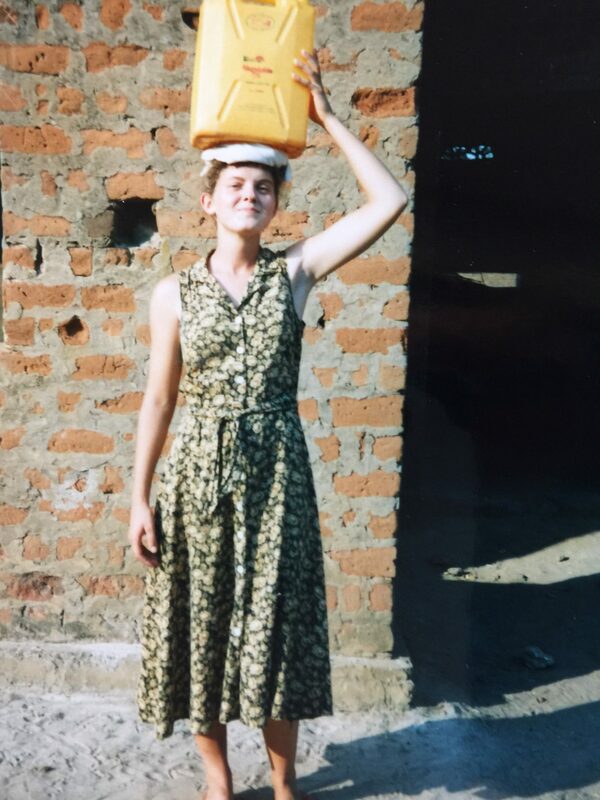 About 21 years ago, you could find me in a small town just outside of Arua, Uganda (East Africa) living in a mud hut with no electricity and learning to carry water on my head from the community bore hole. On one of my first trips to collect water there, I tried to engage in conversation with some of the young women I walked with. “Do you like school?” I asked. No response. “Are you in school?” I asked. No answer. Awkward moment. I smiled and kept walking, wondering what just happened. Later as I learned more, I realized that they had understood and responded to my questions, but I had failed to recognize the “yes,” which was communicated with raised eyebrows in this culture. For six months of my senior year, I lived in this community with a Ugandan family, interned at a primary health care program, and conducted anthropological research for my senior project on health beliefs and practices in rural households in the area. This was a huge stretch for a girl who had grown up in a comfortable, largely white middle class suburb of Chicago. 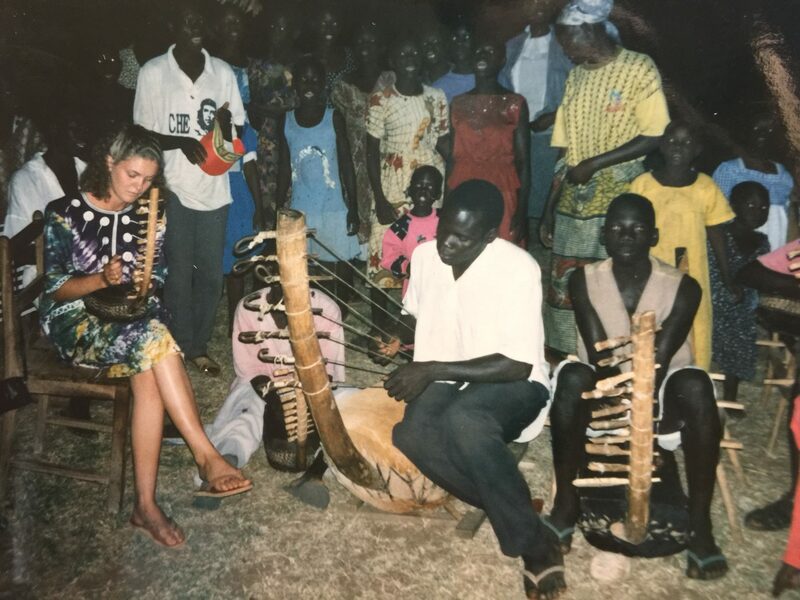 As you might imagine, my stint in Uganda was a life changing experience. I learned in ways that would have never been possible in a classroom environment or in my home society. I had been taking classes for three years at Wheaton College focused on international development, poverty, cultures, and health. Outside of the classroom in Uganda, though, I learned with my whole person, not just my head. Through many moments of frustration, I eventually accepted that I was going to be like an infant for a while, who did not know how to do the most basic things in life like communicate! I messed up a lot. I got sick sometimes. But I also laughed a lot (many times at myself!). I gained a lot of humility and confidence at the same time. 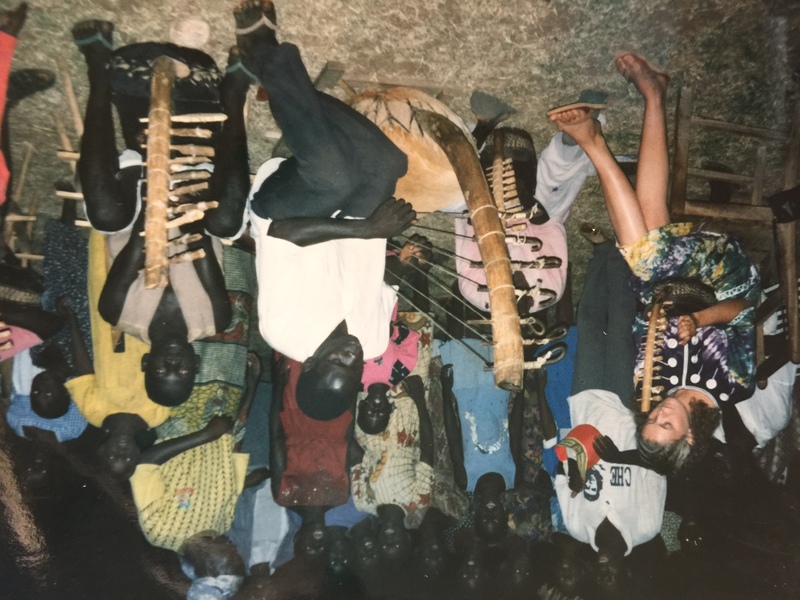 I made some incredible friends in Uganda and was impacted by communal values of hospitality, respect, and cooperation that I carry with me to this day. I learned a lot about myself and the world through this experience. At my undergraduate institution, I was part of a learning community called the Human Needs and Global Resources (HNGR) Program that was in addition to my major. This program required me to write regular reflections on what I was learning and to conduct research while abroad. It was this combination of building a community of scholars, diving into total cultural immersion, and doing reflection and research around my major fields of study (anthropology and biology) that made this experience so impactful and my learning go deeper than it ever had before. I carried the model of immersive experience and reflection with me as I went on to work as an international development professional in Niger (West Africa) and later conducted research in Niger through cultural immersion for my Ph.D. I know from my own life that the model of building a community of scholars, immersive experience, reflection, and carrying out research or projects in one’s major field are powerful. But I am not alone. The Association of American Colleges and Universities researchers have identified a set of now widely recognized high impact educational practices that have been demonstrated to increase student retention and engagement as well as correlate with deep learning. Among them are: diversity and global learning, service learning, community-based learning, internships, capstone projects, undergraduate research, and learning communities. These practices are central to the Pavlis Honors College curricula. You can find your community here and stretch yourself in new directions. Our honors communities can be that support you seek to follow your heart and develop your passions into a fulfilling and impactful career path.